Taquerias are a dime a dozen in this town, ranging from high end to low end depending on what part of the city you are in. Whenever I see a new one open I sometimes wonder why. They are becoming as ubiquitous as Starbucks. It seems folks think there is no end to San Franciscans love of some quick Mexican food. Into this mix comes Adriano Paganini of Super Duper Burger (and a few other places) fame with Uno Dos Tacos--sort of a mix of Super Duper meets Chipotle as it were. I remember having these while I was in Amsterdam one spring. Weird what you end up craving there. The ones I had were usually completely covered in chocolate. When I saw this in the store I thought why not give it a try and relive some memories. Plus, turns out this is made down in South San Francisco by Suite Foods which actually has a brick and mortar shop in Bernal Heights. I think overall this suffered from what most packaged baked goods suffer from--it didn't really taste fresh and was a tad dry. Though I do give props for adding some chocolate and having nice crunch from the chunks of sugar just like you get overseas. I tried heating it up but that didn't really help. I missed the soft crunch on the outside and doughy middle you get on a fresh one--this one fell just on the side of stale. I suppose if you could truly package freshness it would be a real boon to the pastry industry thus whoever figures that out will make some bank. I guess I'll just need to go and check out their physical location to see what they are really like hot off the griddle. Till then, I'll just skip the grocery store version and remember Amsterdam through my pictures and slightly fuzzy memory. 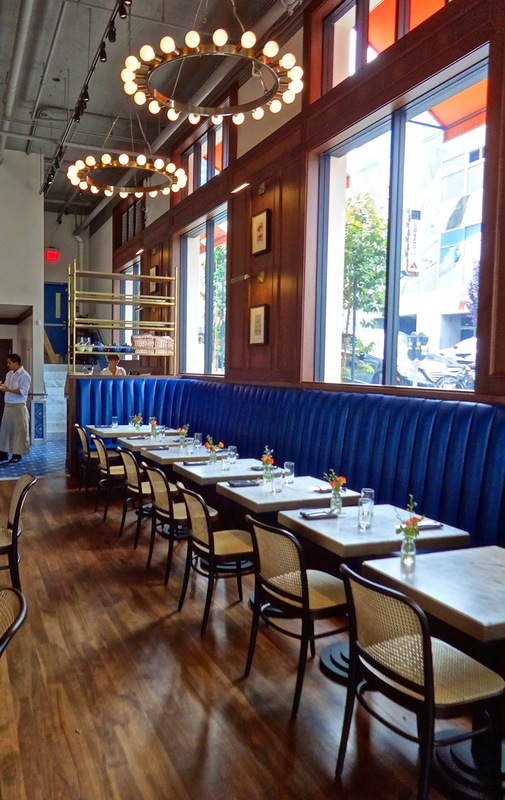 Quince has a new look and someday I actually hope to dine there. Zagat's 7 hot new sushi spots when you're in the mood for a little bait. Wow! Is there anything San Franciscans won't do or pay for brunch in this town?! Richie Nakano tells non-hipster chefs how to master social media. Two politicians will debate about food. But what will they be serving? Global street food and "foodanthropy". Is that even a word? Happy hour food things that won't bust your wallet, so says SFist. All Star Donuts in the Marina closed (got booted out) in the Marina. Too bad I kind of liked it's retro-ness. Seems Glaze Teriayaki (of the folks on Fillmore) are moving in. Can we at least ask them to keep the original sign? Mel's on Fourth and Mission has reopened after health code violations. I mean they are in a parking garage people. How many food truck parks is enough for San Francisco? Guess we'll find out. The Food Network is one of my go to channels when there isn't much else on and they aren't showing anything with Guy Fieri. Though really in the last couple years it has kind of become a parody of itself with not so much about cooking but big personalities competing against each other. Part of the evolution of "the celebrity chef" as it were. One show I DVR regularly (because it has way too many commercials) is Next Food Network Star. Again a show that seems more about personalities with backstories as opposed to people who can cook and also the one to blame for releasing Fieri on the world, but I still watch anyway. What does this have to do with anything? Well, every now and then one of these contestants seems to actually make a name for themselves or open a restaurant to showcase that they can actually do something beside make people cry over their life story. One such chef is Tom Pizzica, a finalist from season six who has found his way to San Francisco to open up no less than a burger joint called appropriately enough Big Chef Tom's Belly Burgers. Yes, long name that gets shortened to BCT Belly Burgers. I had seen food rumblings about the place for awhile now but hadn't ventured over to its not all that easy to get to location in SOMA. I'm back from vacation and getting back into the local food again, though to be honest, it's not that much different. While I noticed a number of similar dishes spanning the continents, one thing I didn't see a lot of (outside of that McD's place) was the hamburger. That good ol' American favorite of most anyone who eats meat. 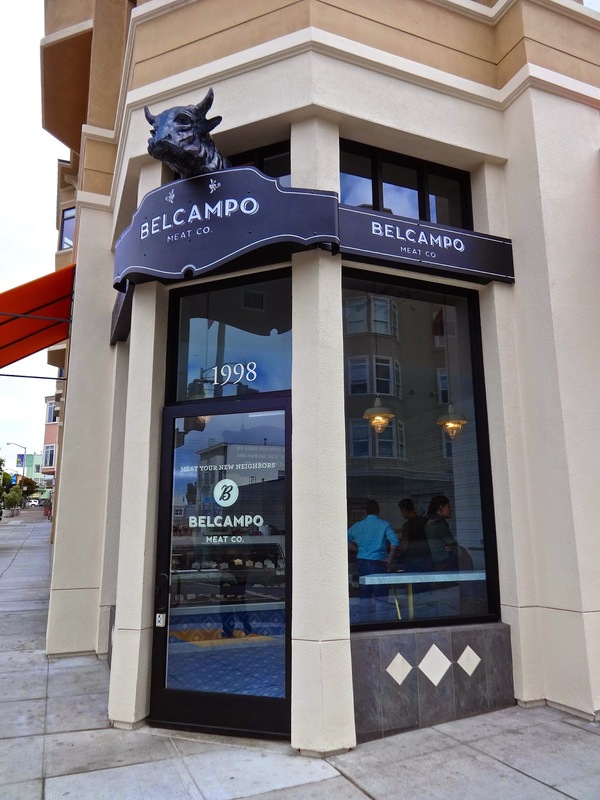 So what better war to get back in the swing that with a burger review from a new outpost of Belcampo Meat Co. that has opened here in the city on Polk Street. As I previously mentioned it seemed the mainstay of Croatian food was pizza. There's nothing wrong with that, but you know it's not exactly original. To be honest, during our trip we haven't really been able to pin down just what is a specialty here. But we definitely gave it a try and hit up spots along main streets and a few off the beaten track that were recommended. The dishes pretty much ran the gamut from meat to fish to pasta and some other things. And while we did do the pizza thing I'm not gonna cover that now, in fact I'm pretty pizza'd out at this point and will be taking break it....for now. Still we had some interesting stuff so here's just a taste of out Croatian food adventure. This is what most of the towns along the coast look like--red tiled roofs and blue green waters. After a few days in Croatia one would think the national dish was pizza. No really, I'm serious, it's everywhere, in every restaurant we pass or dine at. Though when you stop and think about it, way back when Italy controlled this county before it was given its sovereignty and thus their food seems to have had a big influence on food here. Plus, there are tourists everywhere, in every coastal town we pass and as with places in the US, pizza appears to be the go to easy winner. But the other thing we've noticed is the abundance of pekara/pekarnicas--that's Croatian for bakery. Of course being the sweet toothed, pastry loving, baked goods kind of guy I am, I made a point to try and stop in as many as possible. A feat I found out is impossible as they are as ubiquitous to Croatia as Starbucks are here in the US. Whenever one is in Italy they always tell you to try the pizza as it is some of the best. Of course, on our recent sojourn to Venice me and the SO have decided to put that to the test by having pizza at least once a day during the time we are here at 4 different spots and see if it is truly better and if you can tell a difference from one place to the other. Ultimately our findings are wholly unscientific and not really based on anything other than--this is the place we chose and let's get some pizza here. In the the grand scheme of things, the places we went don't really matter much as like canals in Venice all you have to do is turn a corner and voila, there's a pizza place. Be it trattoria, ristorante, cafe, whatever, they all pretty much had pizza. Some offered more toppings, some less and so on. Thus I bring you another blog from the road and the great pizza taste test--Venice edition.